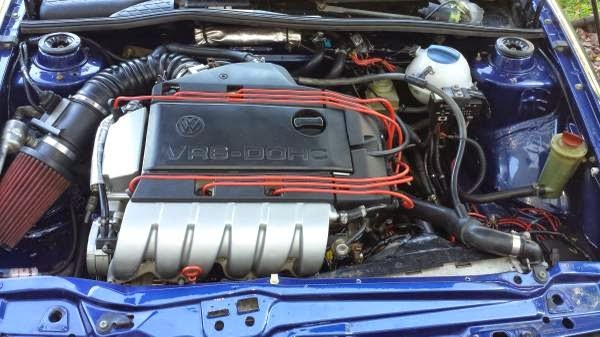 Buy Classic Volks – Volkswagen Corrado for Sale in Tampa Bay. This a VW Corrado build in 1990 comes in blue. Car runs great and electrics work. Serious inquires only, no low ball offers. Long list of upgrades and OEM replacement parts. Engine and trans has100+k miles and body has 140+k miles. Cash or Certified Check ONLY!!! *edit: update radio info, front/rear seats are OEM Leather (good Condition), headlights OEM. This entry was posted in 1990, Closed, Corrado, USA, Volkswagen and tagged Volkswagen Corrado VR6 on November 1, 2014 by buyclass.